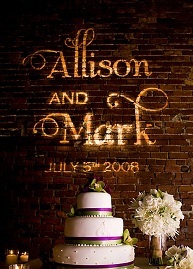 Personalize your event with gobo monogram lighting! Monogram lighting is a great way to add a personalized touch to your wedding or event. 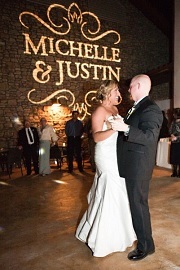 A gobo projector will put your names, wedding date, special message, logo, artwork, or anything else in lights. The projector will then be projected to a wall or onto the floor with your design!